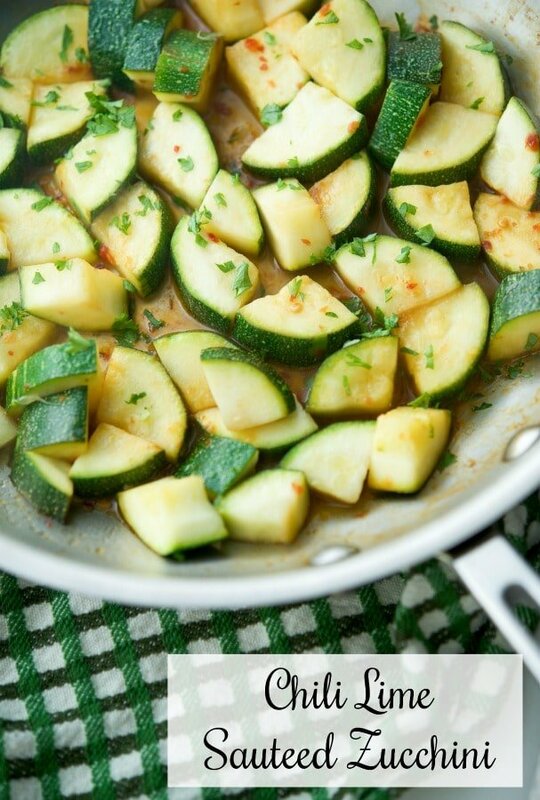 Chili Lime Sautéed Zucchini is an easy side dish with a hot and sour taste that goes perfectly when you want to add a little flavor to your recipes. 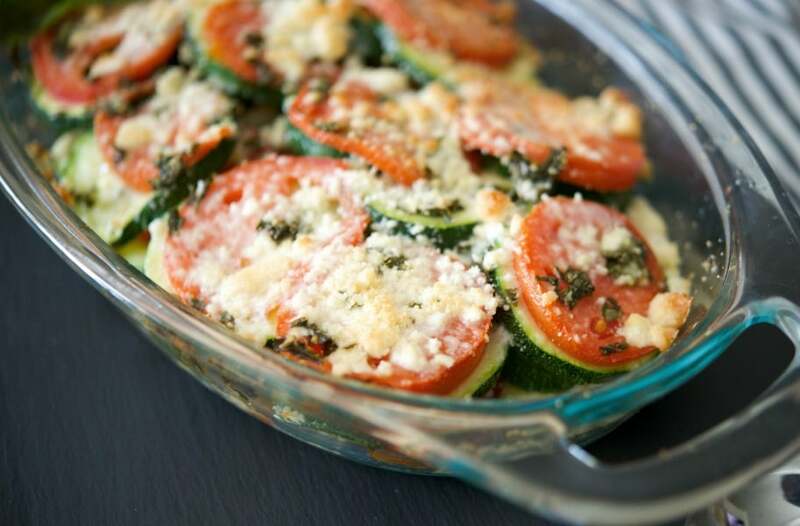 We love zucchini and I make it at least once a week as a vegetable side dish. 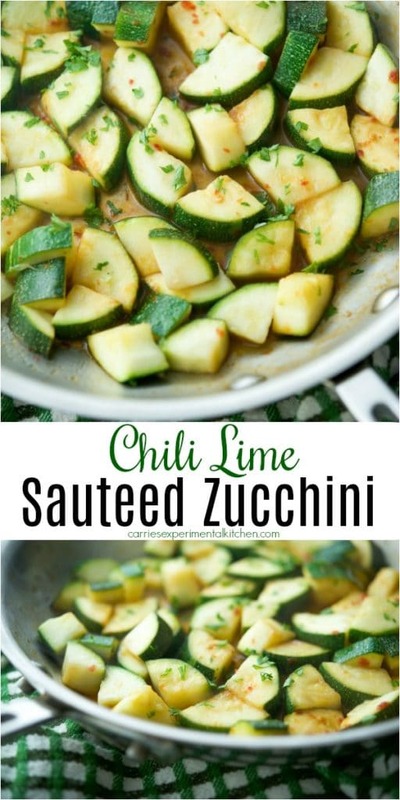 I’m always looking for new ways to give my family a little variety and recently made Chili Lime Sautéed Zucchini. It was delicious with just the right amount of heat and tanginess. Is that a word? 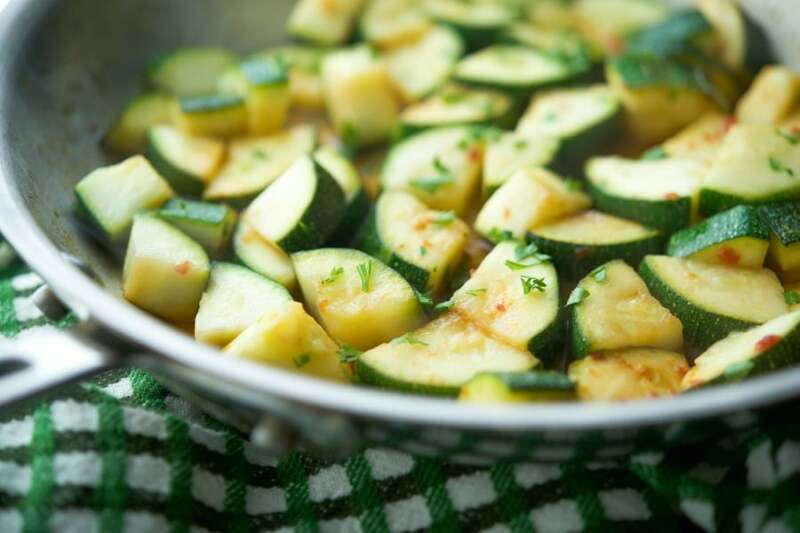 The recipe is simple to make and all you need are four ingredients: fresh garden zucchini (which is plentiful this time of year), extra light olive oil (or other light oil of your choice), chili paste and fresh lime juice. 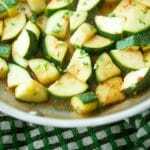 Start by gently washing the zucchini skins; then cut off the ends. My zucchini was fairly large so I diced it into quarters and got about 3 cups. 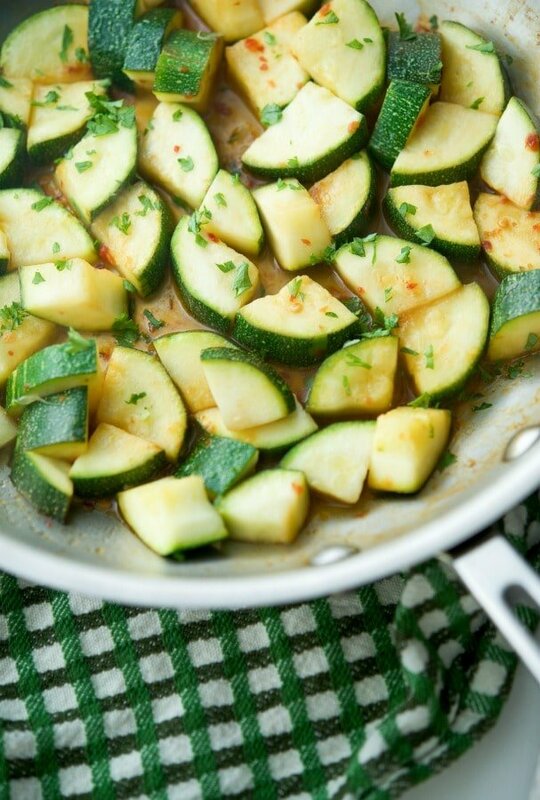 Heat the oil in a large saute pan over medium high heat; then add the zucchini and cook until it’s slightly softened. 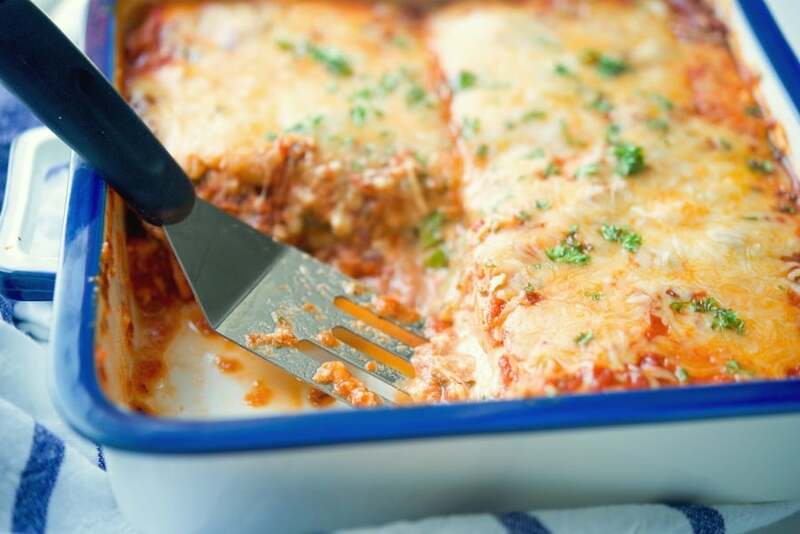 We prefer our zucchini with a little bit of a bite to it so it will still have whiteish flesh. 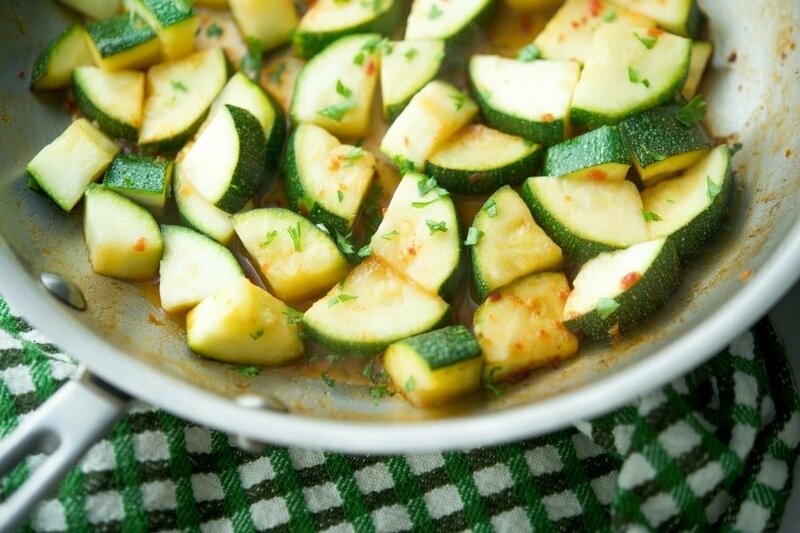 If you fully cook it, the zucchini will become translucent in color and too mushy. Next, add the chili paste and lime juice; then stir for another minute or so until the flavors get infused into the zucchini. You can season with salt or garnish with fresh chopped parsley if you like before serving. This Chili Lime Sautéed Zucchini took about 15 minutes to make from start to finish and was enough to feed four people as a side dish. ~Enjoy! 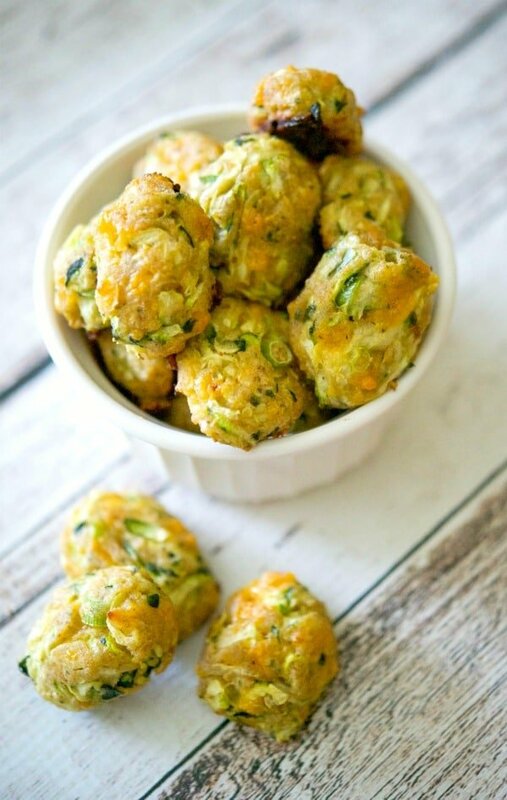 Gently wash the zucchini with a vegetable brush under cold water; then remove the ends and dice into large pieces. Add the oil to a large saute pan and heat over medium high heat. Add the zucchini and cook 4-5 minutes until they are soft, but not translucent and mushy. Add the lime juice and chili paste and cook for another minute or so; just to infuse the flavors into the zucchini. Yummy! 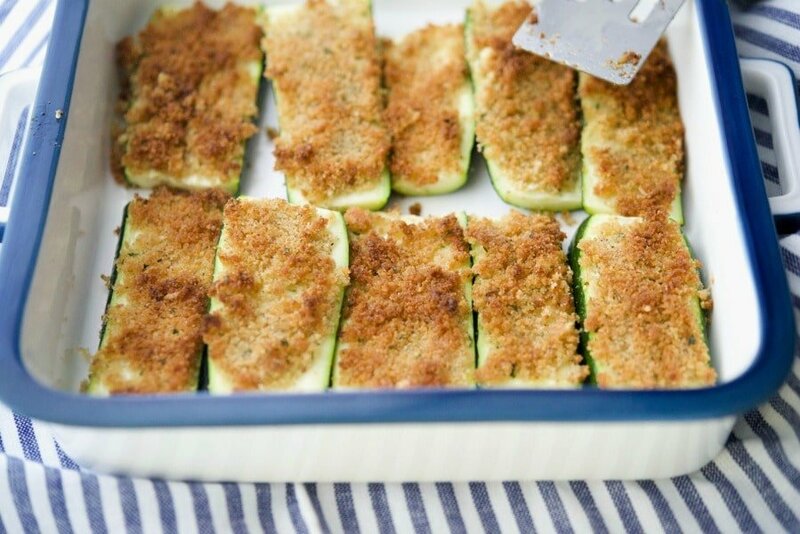 Great way to use up those summer zucchinis!